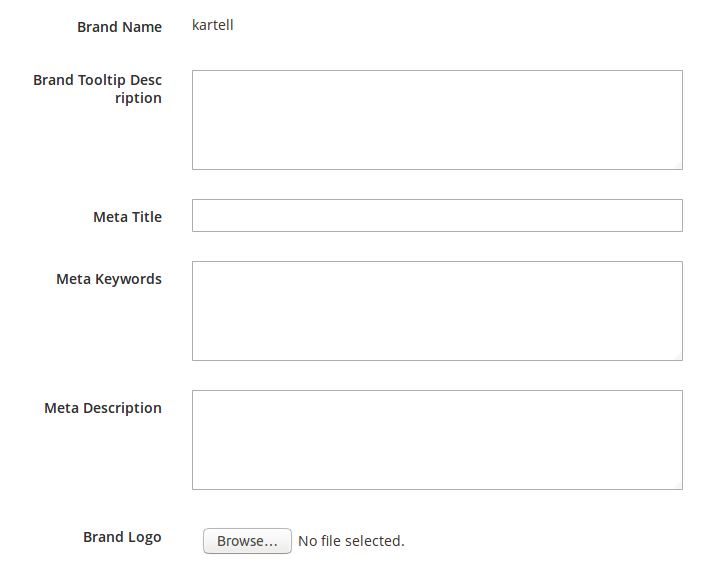 Set Meta Information Of the Brand Like Meta title, Description and keywords. 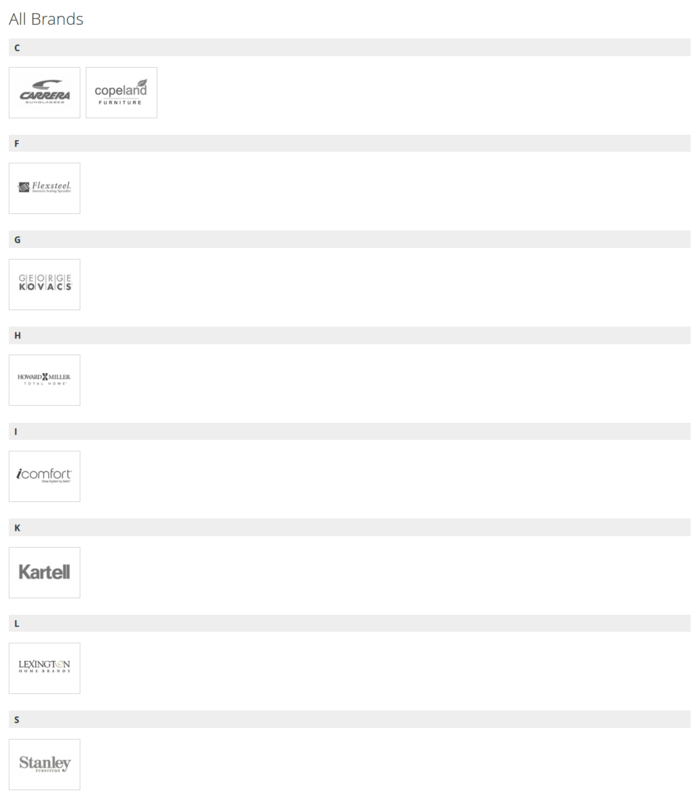 All Brands logo listing with Alphabetical order. Search Engine Friendly URLs for brands listing pages. Ability to link each brand image to products listing of that brand. 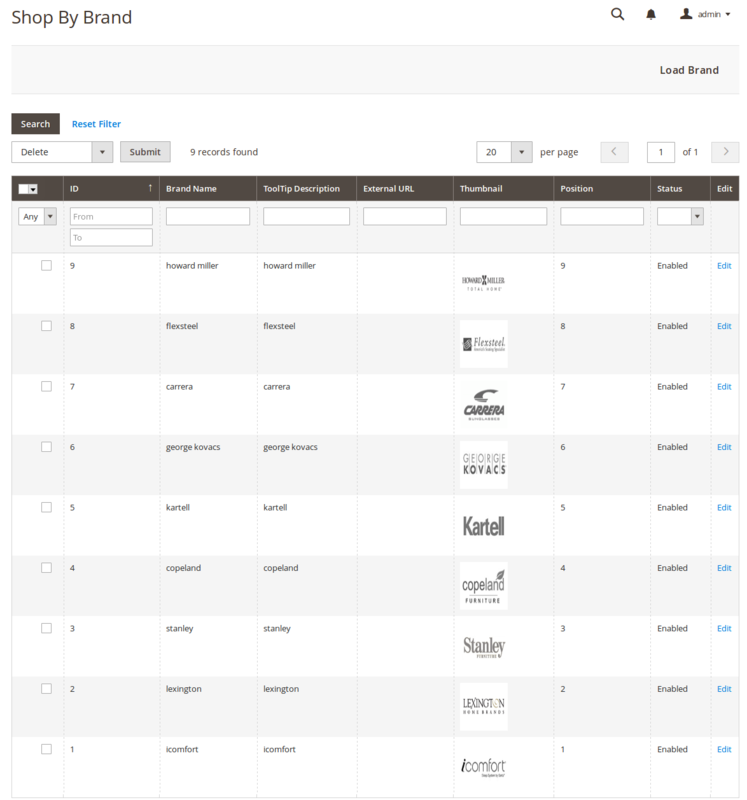 Manage your Brands from admin. Magento 2 Shop By Brand Extension is use to setup brands/manufacturers features into your store as per your requirements. You can easily setup brands logo slider into different pages with different format and also as many as you want. 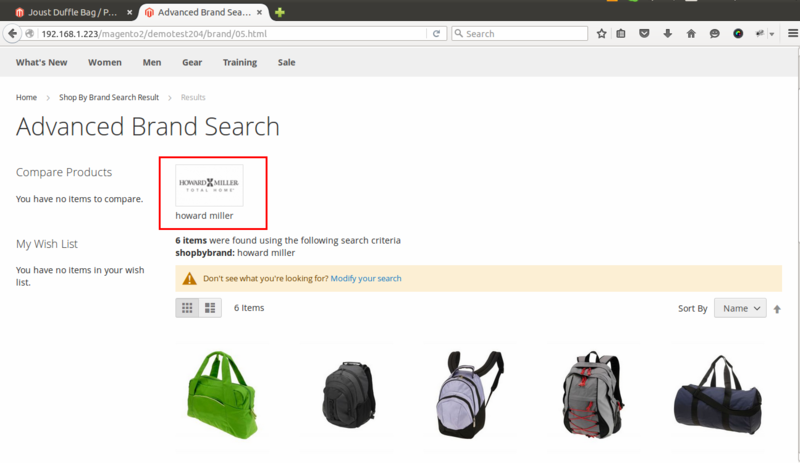 You can show all the brands with alphabet filtering and also setup brand search filter. You can show brand logo into product detail page. This extension allows you to create new brands and connect products to those brands. It generates a landing page with all created brands. Clicking on any brand link takes you to that specific brand landing page. You can also able to use your existing attributes as a brand using this extension. Our extension also created SEO Friendly URL for each brand page. 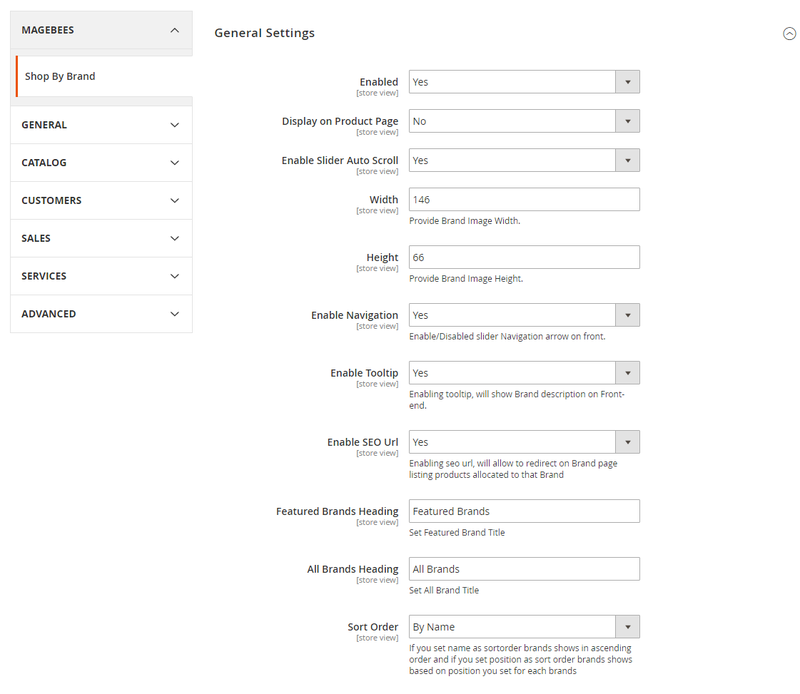 Settings for set brand width, height, navigation, tooltip, sort order etc. Settings for set featured brand heading and also all brands heading. You can also able to setup your existing attributes as a brand using shop this extension. 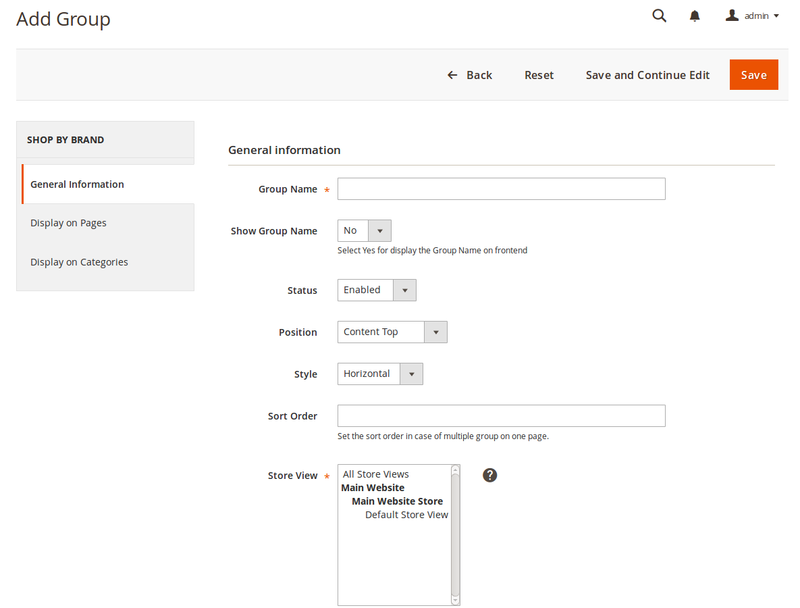 You can easily create shop by brand groups and manage it. 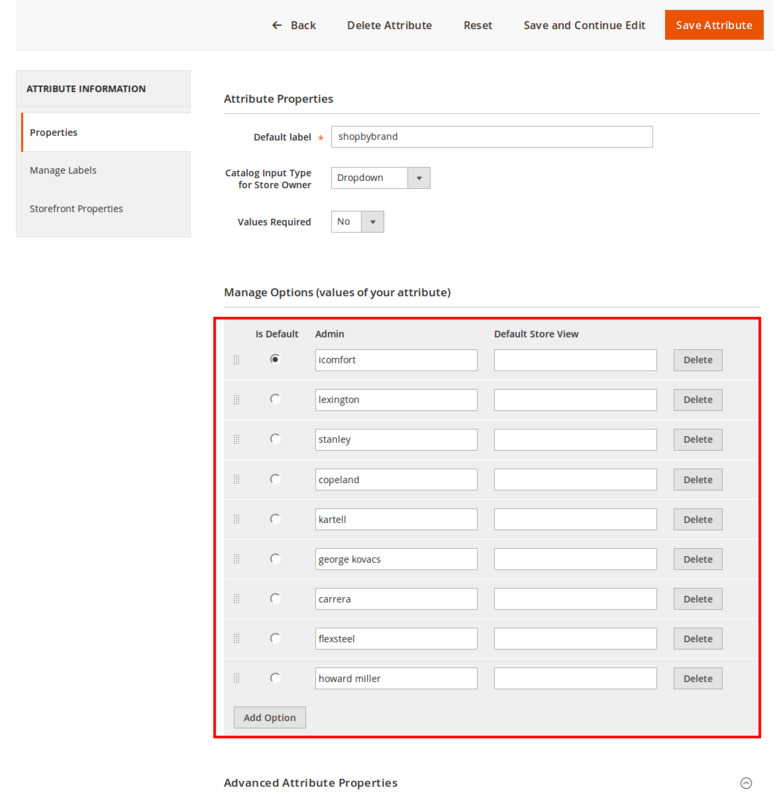 Define some general information of the groups like group name, style, position, sort order. Create Brands as per your requirements and enter complete information of the brand like title, status, priority, attach images to be displayed as brand logo and icon. 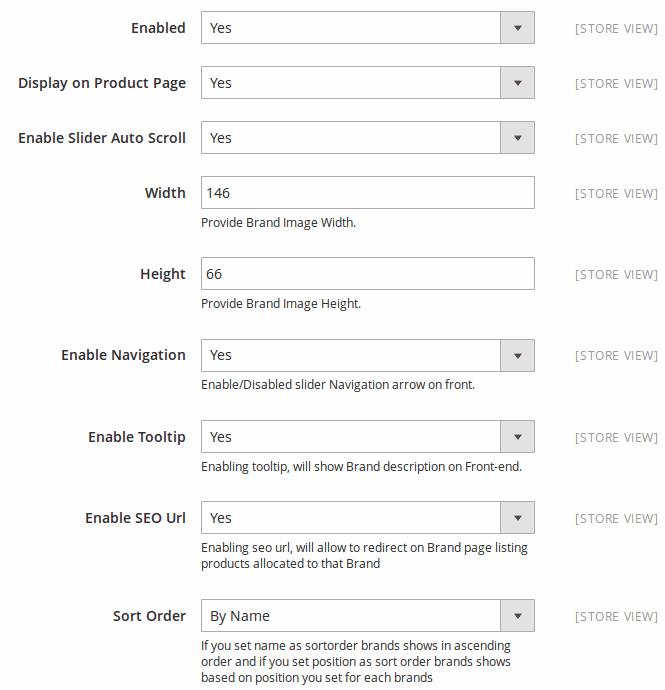 Brands will show at front-end where you put shop by brands code for slider or it will show on CMS pages or any other pages. 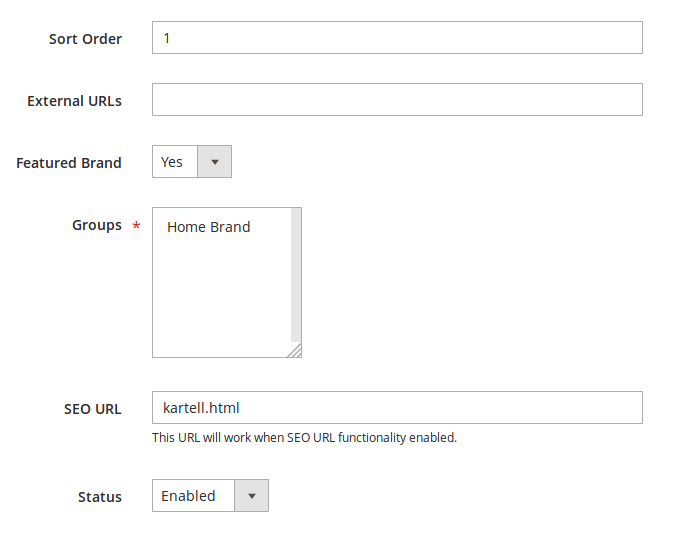 It also allow you to setup featured brands slider. You can show all brands listing in alphabetically order on frontend as a simple brand list or show brand list based on Ajax search. 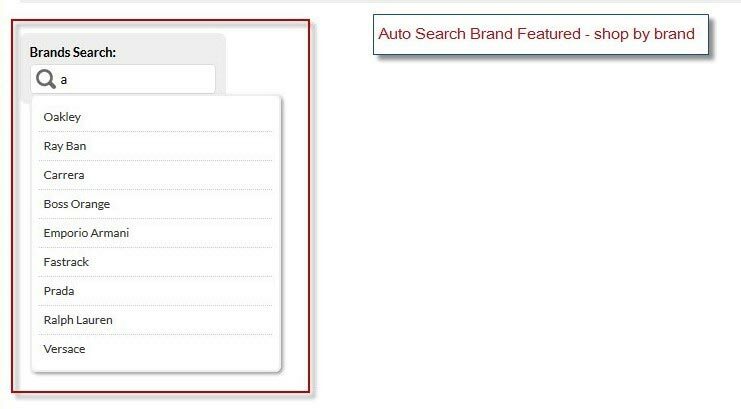 As per your input in search box for search brands, it will show auto suggested brands list. Customers can simply type the brand name into the search box and the module will suggest the most relevant results via a dropdown list. Show/Hide brand image on product detail page. If you assign attribute option to products than it will show image of that attribute option on product page. Our extension generate SEO Friendly URL for each brand page. Top Notch Extension by Magebees. I have been trying other extension for shop through brands and they're always seemed to be very bloated. Apart from it being responsive it is also less expensive! Astounding Extension For The Price! This has truly been important to my website by helping my clients to discover products by manufacturers, it lists them alphabetically and with a lot of products this extension has turned out to be significant. We had an issue with our "Shop by Brand" extension and issue was settled quick and the module works great at this point. Very happy to use it. One of the best Shop by Brand extensions. I tried a few before this one. This one wins hands down and the support is the best! Great Extension & Support is super! We use several Magebees extensions and I must say this is a trustworthy partner for Magento shop development! We had some minor issues that were solved in a heartbeat, Magebees is highly recommended! Thanks! Great extension & Wonderful Support! We have 1000+ brands in our store. We use this extension and it is easy to install. Works like a charm. We applied our brands logo and the search brands work nicely with auto complete feature. Very happy with this extension because it adds more value to our store which help to increase our sales. Great extension and the support is uncommon! You and your extensions are extremely awesome as usual! Happy to use more extension in future. Good extension that works without any problem.Thank you for such a nice extension with complete features. I have used this extension and this provide the feature what i was looking for. Its provide SEO friendly brands pages and also auto complete brands search feature. Excellent brand logos slider extension with many other features. Search your brands and also show brands base on alphabet. This feature helpful to my store because we have large number of products with various brands. Easy to set up and works on my custom theme. Highly recommended. This extension shows all brands from your store. You can even add logo and stuff on each brand. Installation is easy and Great support! Made Compatible with Latest Magento 2.3.X. Q-1: I have Installed Shop By Brand Extension. I got following error. "There has been an error processing your request". "Please upgrade your database: Run bin/magento setup:upgrade". Ans : Run “php bin/magento setup:upgrade” command to your terminal or command prompt. Please see installation steps for that. Q-2: I have update attribute option values from Backend -> STORES -> Attributes -> Product , but when I click on Manage shop By Brand page, The updated attribute option value will not updated with old option value? Q-3: Once I have Installed Shop By Brand Extension, When I click on Manage Shop By Brand it will show message something like this “Brand option values not available. Please insert Brand values”? Ans : You will get this message only when you have not added attribute options value. 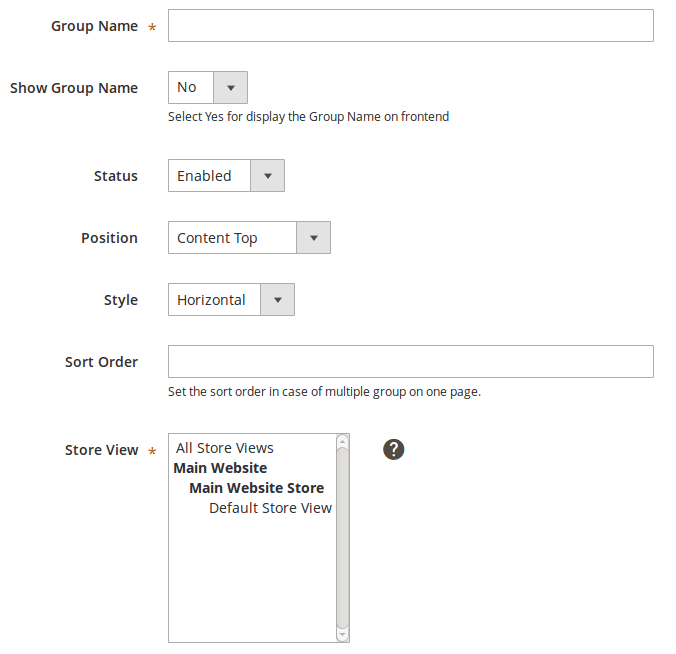 Once you added attribute options value from Backend -> STORES -> Attributes -> Product, once you set attribute option value this message will not appear again on Shop By Brand Management page. Q-4: After adding attributes option value from Backend -> STORES -> Attributes -> Product option value still not display under Manage Shop by Brand page and I got this kind of Notice “Please click Load Brand button to show listing of brands”?